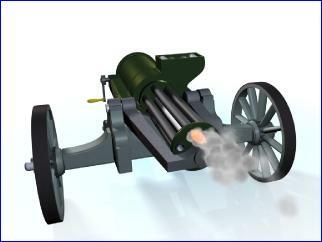 The first successful machine gun was designed by Richard J Gatling in 1862, during the American Civil War. A very small number were built, and probably saw some action. 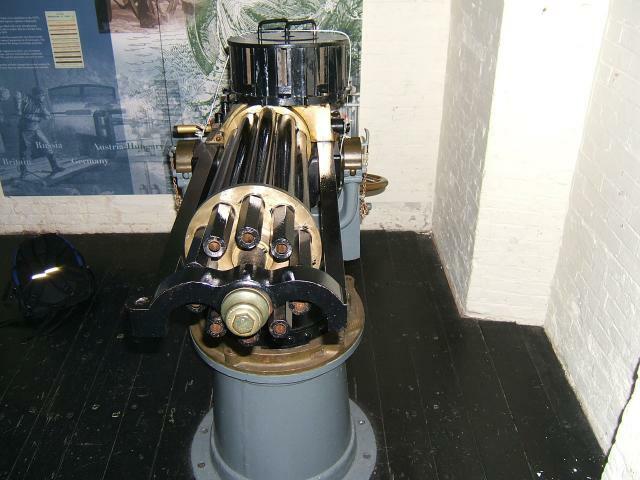 However, after the war, manufacturers were capable of making good quality metallic cartridges - an essential pre-requisite for all machine guns. 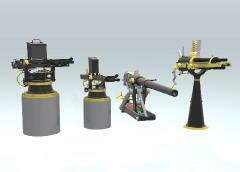 Gatling refined his design over the years, and his guns were bought by a large number of countries. This section will look at three models, the original 1862 design, the 1865 model which was the first design bought by the U.S. Government, and the short 1874 short model, sometimes known as the Camel gun. 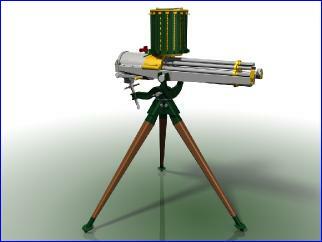 Gatling gun, short 1874 model, the Camel gun. 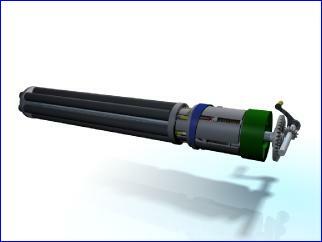 Animated 3D model. 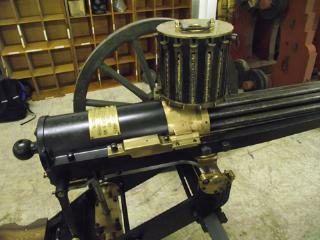 Click on image to view a YouTube movie of this 1874 Armstrong-manufactured Gatling gun being fired. The gun is using a Broadwell drum magazine and firing blackpowder cartridges, so note how quickly the smoke builds up and obsures visibility.